Upgrade Communicator for Total Connect 2.0 (LTEXV-TC2)? The Honeywell LTE-XV is a cellular Verizon 4G LTE alarm communicator, designed for use with the Vista-Series hardwired control panels. The LTE-XV easily connects to Honeywell's VISTA-15P, VISTA-20P, VISTA-128BPT, and 250BPT control panels. The LTE-XV is easy to install and sends alarm signals over the Verizon 4G LTE cellular towers. All signals are delivered to Honeywell's AlarmNet® Network Control Center, which routes the information to the AlarmClub central station. The state-of-the-art AlarmNet Network Control Center is fully redundant and monitored 24/7. AlarmNet then routes messages using AlarmNet-i and 800 PLUS services, providing true redundancy and multi-path message delivery. Full Contact ID: Contact ID reporting using ECP mode with compatible Honeywell control panels. 256-bit AES Encryption: Advanced encryption standard used for secure communications. 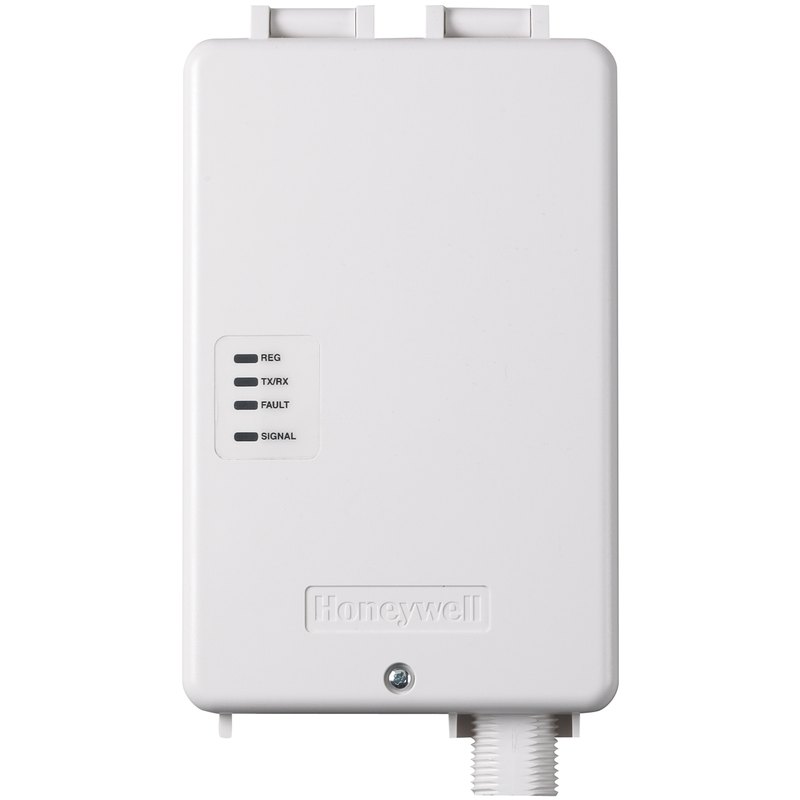 Upload/Download: Available with select Honeywell control panels. Integration: Quick and easy installation of cellular communicator for VISTA® control panels. Diagnostic LEDs: Provide signal strength and status indications. QOS: Quality of Service diagnostics via AlarmNet supply vital information including when a message was received, battery voltage, input voltage, signal strength and message path. Remote Services Capability: Optional Honeywell Total Connect remote services provide on-the-go security and home control, video viewing, and real-time alerts, anytime, anywhere, on any PC or smart device. FOTA Firmware Upgrading: Complete over-the-air firmware upgrading capability. Provides remote service management ability.